Step out of Las Vegas with an excursion to Hoover Dam in Boulder City--about 50 minutes away. 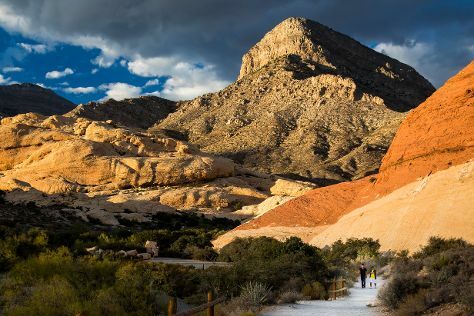 There's much more to do: explore the stunning scenery at Red Rock Canyon National Conservation Area, push the limits with an extreme tour, examine the collection at The Mob Museum, and take an unforgettable tour with a helicopter tour. To see ratings, maps, reviews, and more tourist information, you can read our Las Vegas road trip planning tool . In September, plan for daily highs up to 93°F, and evening lows to 71°F. Wrap up your sightseeing on the 8th (Sun) early enough to travel back home.